Why does my logo or seal show up with a strange gray background? If your logo or seal is appearing with a strange background even though the actual image has a white background in your image editing program, there are some steps you can follow to get rid of that background. 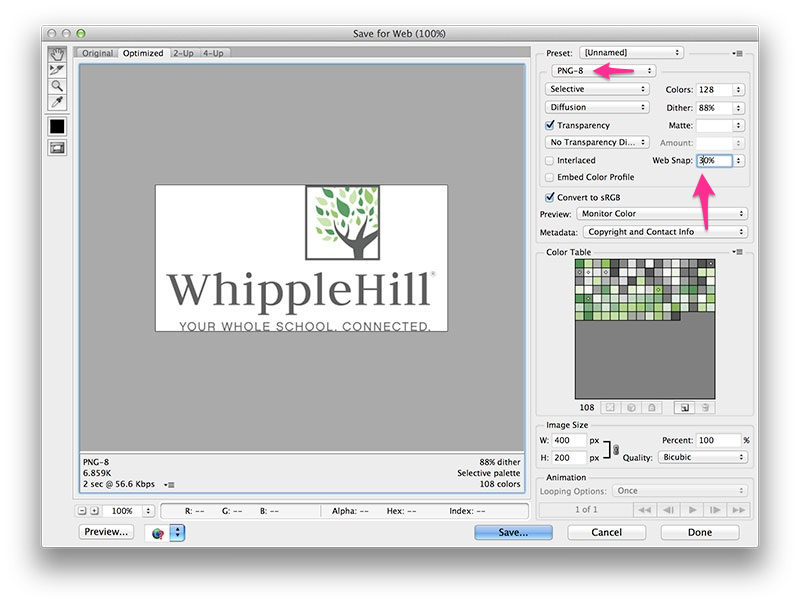 Please visit the Logos and seals settings article for steps on how to save your images. If your logo has a slightly tinted white background on the actual report card, try setting the Web Snap setting in this Save for Web dialog box to about 30% or higher and re-save the image.